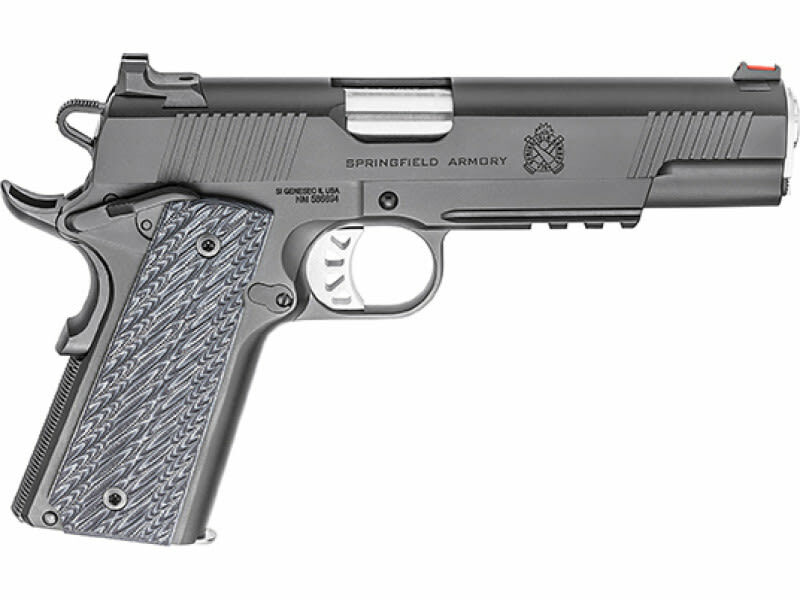 Springfield PI9110E: The Range Officer Elite Operator is a multi-threat athlete, combining trophy-level accuracy with do-it-all versatility. Match grade frame and slide are forged steel, Black-T finished to withstand corrosion, abrasion and extremes. The slide features slanted front and rear serrations for easy racking. The 5" stainless steel, match grade barrel delivers on-target rounds with repeatable precision, aided by a tactical rack white-dot rear sight and fiber optic front sight. The Operator sports a crisp Gen 2 trigger and GI recoil system, an accessory rail, ambidextrous safety that adds flexibility, and a thin-line G-10 grips that provide a solid, hand-pleasing fit. 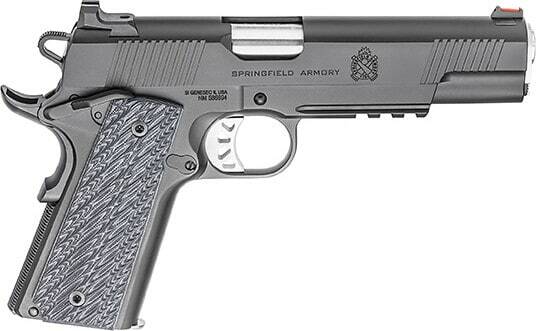 This 10mm model comes with two (2) 8-round magazines.